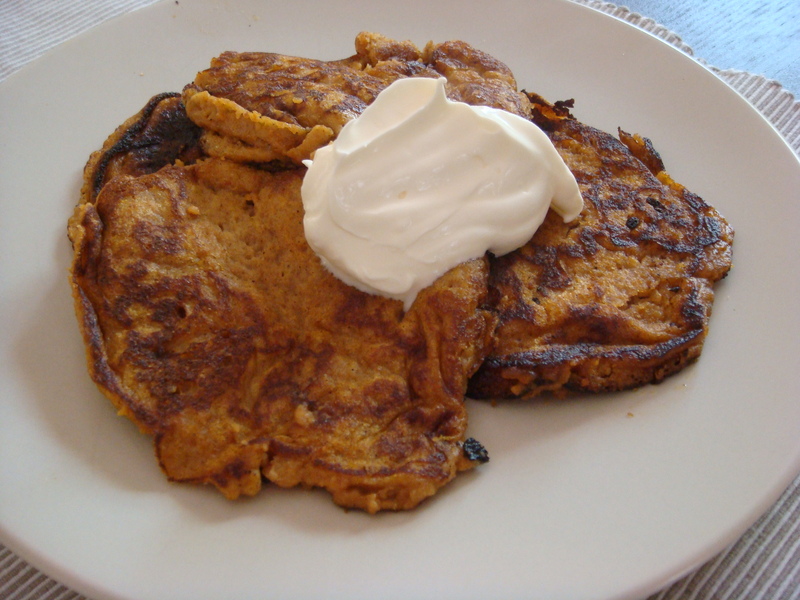 This pancake recipe is very high in protein and low in carbs, meaning that it won’t raise your blood sugar levels (unless topping it with maple syrup or honey), and it will keep you going strong throughout the morning. 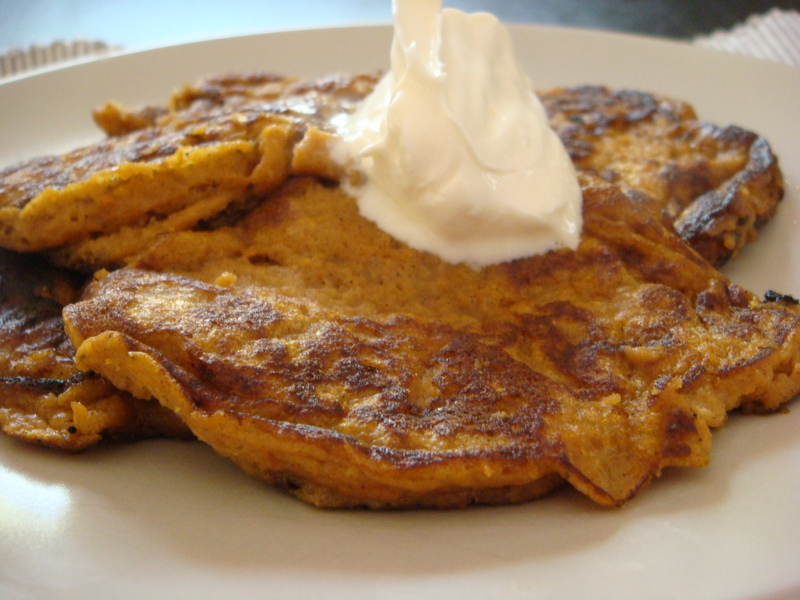 They are gorgeously sweet and the spices used enhance the taste of pumpkin. The pumpkin puree can be made ahead or over night. Boil 100g pumpkin with a bit of water and blend into a puree. Voila! 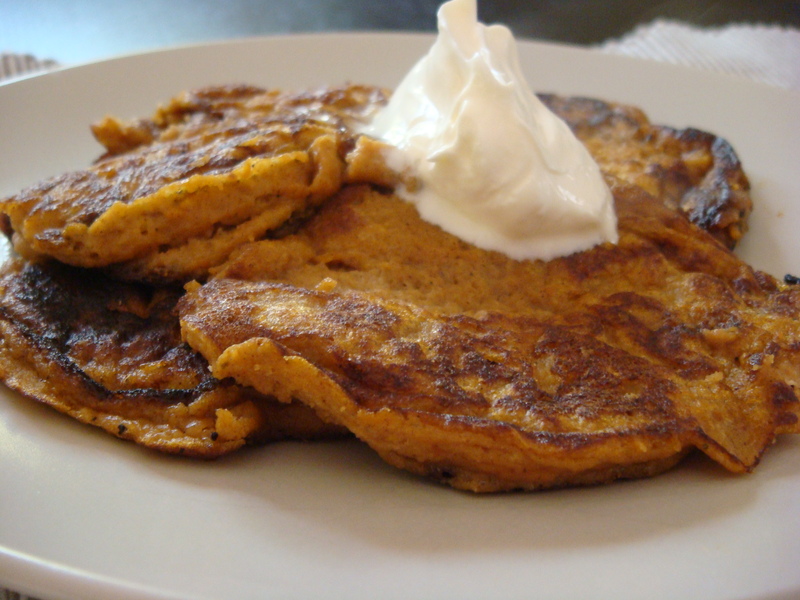 Or cheat, and use the canned pumpkin puree…but used unsweetened! The pancakes are very fragile to handle so I would advise to cook them in small amounts otherwise they will break when you flip them. Make “mini” pancakes and they should keep their shape better. Mix the wet ingredients in one bowl and the dry ingredients in another bowl. Mix well. Combine the wet and dry ingredients and whisk until there are no lumps. Melt 1/2 tspn butter in a frying pan and pour a small amount of the batter in the pan, spreading out in a circle. Cook until bubbles appear around the sides. Flip over gently and cook on the other side. Repeat and use the remaining batter. Slater with your topping of choice, eat and enjoy! these look and sound delicious. yum! Glad you enjoyed them Jay!